SureFire vs. Elzetta. Charlie vs. Fury. Which is the best for you? Will it be the sleek and smooth P3X from California or maybe the rough and tough Charlie from the Bluegrass State? Both lights have a lot to offer so grab a cold beverage of your choice and get to your seat, the fun is about to begin. Since the Elzetta Charlie was the first to become available it will also go first in the comparison. Hailing from Kentucky horse country, the Elzetta Charlie produces a blinding 900 lumens with Elzetta’s new High Output head. The Charlie is configurable into numerous different variations but for the purposes of this comparison we will focus on just two – the single mode C131 with tactical tail cap and the C133 with two output levels controlled by a click-style tailcap. To read more about the Charlie and its little brother, the Bravo, head on over to the Elzetta High Output Flashlights Review. Arriving from the west coast, the SureFire P3X Fury is a longer and more powerful version of the popular P2X Fury. Rated to provide a stunning 1000 lumens of output, the P3X is available in two versions – the single mode P3X-A with SureFire’s tactical tailcap and the P3X-B which offers two output modes and uses a click-style tailcap. 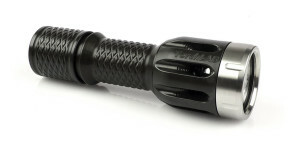 For full details, be sure to check out the SureFire P3X Fury Review. The Charlie features numerous exterior design elements which provide secure grip along with an aggressive appearance. In contrast, the P3X Fury follows a much sleeker and smoother design with machined finger grooves and milled flats at the head and tail. With both lights, grip is enhanced by the extra length of the 3 cell body. While the smooth design of the P3X is not nearly as slippery as photos make it appear, there is no question that the Elzetta Charlie provides the most secure grip in a variety of holds. The style differences also have an effect on how the lights are carried as the smooth design of the Fury is more pocket-friendly and, in some cases, easier to insert and withdraw from holsters. The Charlie is a tactical light through and through and is primarily designed to be mounted in a weapon or carried in hand. Operation of the single mode versions, the Charlie C131 and P3X-A Fury, is virtually identical. Both lights feature similarly designed tail switches which provide momentary activation with a press of the button and constant-on output with a twist (tightening) of the tailcap. The dual mode Charlie C133 and P3X-B Fury both utilize click-style tailcaps which allow momentary operation with a partial press of the button and constant-on activation with a full press and click. The SureFire uses a two-mode driver which will always begin in low mode first, with the high mode accessed by a second press or click of the button. The Elzetta allows direct access to either output level by fully tightening the tailcap for high mode or loosening it a fraction of a turn for low mode. In both switch configurations, the Elzetta button barely protrudes beyond the end of the tailcap and has a fairly stiff rubber boot. As a result, the switch requires deliberate pressure to engage and is less prone to accidental activation. The SureFire switch extends somewhat farther, has a softer action, and is easier to press and hold in the momentary-on position. The Elzetta click switch is nearly silent while the SureFire switch makes a more audible click when it latches into position. Both lights can be “locked out” to prevent accidental activation by loosening the tailcap a few turns. The Charlie is based upon the same modular design as earlier Elzetta products and can be configured, or reconfigured, into any of 12 different High Output variations. The Charlie is also compatible with previous Elzetta offerings, allowing the use of different heads, bodies, and LED assemblies. For an extra touch of customization, you can even have the name of your favorite website (or something much less exciting) engraved on an Elzetta for only ten bucks. The tailcap is the only component that is easily changed on the Fury. Although the current design tailcaps are not available for individual purchase, the P3X is compatible with earlier SureFire Z41 and Z59 tailcaps as well as many others used with the older C, P, or Z series flashlights. 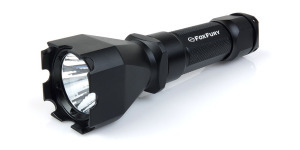 With its 1.37″ bezel, the Fury can also be used with the SureFire FM44 diffuser and various filters. The Elzetta has a slight edge over the Fury with regard to fit and finish. In general, the anodize coating on the Elzetta has a more uniform appearance and the threaded parts go together more smoothly. Both manufacturers have solid reputations with regard to dependability and I see no immediate causes for concern with either light. The modular design of the Elzetta allows for preventative maintenance, such as lubricating O-rings, while the Fury’s sealed design is intended to make this type of servicing unnecessary. Both lights use Cree LED’s with the Elzetta producing 900 lumens of output with its XM-L2 emitter and the P3X squeezing 1000 lumens out of its older, and somewhat less efficient, XM-L emitter. When tested with primary 123A lithium batteries, the Elzetta Charlie maintained at least 85% of its initial output for nearly an hour before beginning a long period of declining output. When operated continuously without air movement, the head and body of the Charlie became extremely hot, in fact too hot to be comfortably held bare-handed. The P3X Fury follows an entirely different approach and provided its full rated output for only a couple of minutes before rapidly reducing output to around 60%. The Fury then regulated its output based upon temperature which resulted in a cooler running light that provided over 1 hours and 45 minutes of regulated output in my test. After dropping out of regulation, both lights went through a long period of declining output as the batteries were depleted, reaching the 100 lumen mark after approximately 30-45 minutes of additional runtime. Both Elzetta and SureFire recommend the use of quality Made in the USA 123A lithium primary batteries, with SureFire also offering the option of using K2 Energy LFP123 rechargeable batteries with their LED flashlights. Elzetta specifically recommends AGAINST the use of rechargeable batteries due to the reduction in performance and reliability. Making light is the name of the game and both of these lights know how to play. Although they have similar ratings for maximum output, the Charlie and Fury take different approaches to how they project it downrange. As a result of these different approaches, the Elzetta illuminates a considerably larger target area while the Fury has greater reach and a brighter near spill beam. 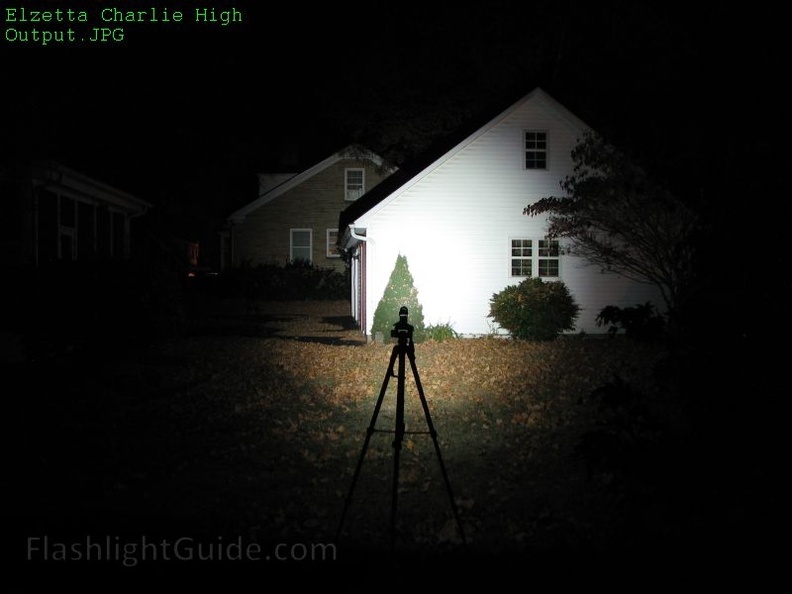 The following beamshot slides allow comparisons between the Elzetta Charlie and the SureFire P3X Fury illuminating a variety of targets at different distances. The images may be compared across their full width using the slider and comparisons of each light to the “control” shot can be viewed using the arrow buttons at the bottom right corner of each slide. The wider secondary hotspot of the Elzetta can be observed on the sandstone house in the background which is approximately 40 yards away. The more intense center hotspot of the Fury is visible on the wall of the garage and the shrub in front of it. The brighter near spill of the Fury is on full display in this comparison and is quite bright 4 or 5 feet in front of the tripod and on the garage wall near the left edge of the photos. The much broader spill of the Elzetta is demonstrated by the visibility of leaves on the pavement near the base of the tripod. The longer reach of the Fury becomes more noticeable at this distance while the increased width of the Elzetta hotspot can be observed on the corner of the garage. And yes, someone needs to rake some leaves! The extra reach of the Fury is again on display in this comparison as well as the bright near spill shown on the bushes on either side of the tripod. The broad hotspot of the Elzetta is highlighted by how well it illuminates the small tree on the left and the tapering spill output creates no glare from the bushes on either side of the tripod. Another illustration of the differences in the beam profiles of the two lights. The Fury has greater reach and increased glare from nearby objects. It should be noted that some of the illumination in this shot is from ambient lighting. As soon as I saw the new Elzetta Charlie I knew I wanted to do a head to head comparison with the soon to be released P3X Fury. However, as I have used these lights over the past few weeks I have begun to realize they are completely different, regardless of how many similarities they may have. Picking a clear winner is harder than I expected as both are capable lights, albeit for different uses. The Elzetta is tactical to the core and makes no attempt to fit any other niche, regardless of how its configured. Let’s face it, if John Rambo ever designed a flashlight it would look and function like an Elzetta. David Morrell’s 1972 novel, First Blood, was set in the fictional town of Madison, Kentucky. Although there is no city with that name in Kentucky, there is a Madison County which just happens to be near Elzetta’s base of operations. Is this just a coincidence? You decide. On the other hand, the P3X Fury tries to fit into a couple of niches with its two variants. The P3X-A, with its tactical tailcap, provides dead simple on-off functionality and a ton of output while I consider the P3X-B, with its two output levels, to be more of a general usage light, albeit a really powerful one. Something along the lines of what John McClaine could have used in some of his adventures. From an all-around usage standpoint the Elzetta is my preferred light and would be my pick if I could only choose one. The output is substantial and when equipped with the High/Low Tailcap I can easily choose which level of output I want before I turn it on. In addition, the tailcap allows levels to be changed at will without having to cycle the light off and back on again. It is a truly terrific, yet simple, interface. The optic puts the light exactly where I need it, mainly in front of me, yet provides an extremely broad spill beam without creating excessive glare from nearby objects. However it’s somewhat of a split-decision because if I hear a noise in the back yard, the P3X Fury is the light I will reach for as it literally lights up the entire yard when used from my deck. It is also just the type of light I want to carry in my truck for emergency use due its longer runtime and cooler operating temperature. In this type of scenario, the fact that the non-tactical Fury always starts in low mode is an advantage. At the end of the day, they are both tools and their value is based upon how well they do their jobs. Choosing between the two is as much about how they will be used as anything else. Something that is an advantage in one application may be a disadvantage in another. Therefore, some of the items in the above lists may seem contradictory such as mentioning the Charlie doesn’t cause glare off of nearby objects and then stating the Fury’s bright spill is an advantage. It will be up to each user to determine which items are truly advantageous for their situation and intended usage. What are your thoughts? Agree with these assessments or do you have a different opinion? Sound off in the comments section below with your choice and what affected your decision! Posted in Elzetta Reviews, Flashlight Reviews, Head to Head Comparisons, SureFire Reviews and tagged Elzetta, LED Flashlight Reviews, Surefire. Excellent comparison and a great read. One other thing of note, as both of these lights may fall into the “tactical” category. The Elzetta is rated to be mounted on a weapon, while the Surefire is a handheld only. While the SF can be pressed into duty as such, doing so may void the warranty (ask me how I know 🙂 You’ll have no such issues with the Elzetta. No problem Jim. Allow me to stress the MAY in “may void the warranty”. 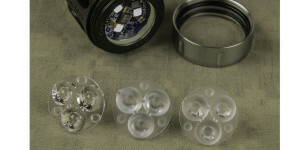 After speaking with some people at SF, they clearly stated that while the Fury is not intended as a weapon light, they do recognize that many end users will apply it in such a fashion (and SF has taken steps to address possible issues with weapon use by adding a second spring to the head circuit board). Also my experience was strictly limited to the P2X. I’m curious to know if the P3X has a second spring in the head? It’s also interesting to note that the packaging for the P3X did not have a warning against such use. That all sounds about right. I sent an e-mail to SureFire requesting clarification on this but have not received a response yet. The P3X does have a spring at the head, same as the newer 6PX and similar lights. Received an update from SureFire today. 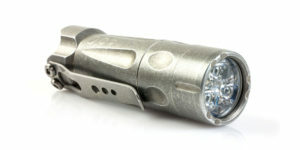 According to the e-mail, the P3X and all other models of SureFire flashlights can be weapon mounted now that they have the springs at both the head and tail. How does the P3X stack up when it is ran with a cooling fan? I bet it will have similar full regulation to the elzetta when it doesn’t have the temperature regulation kick in (which the too hot to hold elzetta obviously doesn’t have). The 120 minutes of runtime would probably be cut in half and they would have very similar graphs, albeit the slightly better efficiency of the XML-2 on the Elzetta. Just a hypothesis? I think your hypothesis is partly correct but SureFire threw you a curve with the P3X regulation. Although the Fury utilizes thermal regulation it had very little impact in my tests. The initial step-down that occurs over the first 2.5 minutes appears to be programmed as it is consistently the same, regardless of battery type or cooling. The initial step-down can also be immediately reset by turning the light off and back on again which would indicate it is not affected by normal operating temperatures. This, by far, has the largest impact on the light’s runtime. When cooled by a fan, the Fury did maintain flat regulation after the step down which would result in a slightly higher sustained output and correspondingly shorter runtime. However, it is a fairly small difference so I would expect, at most, a 15-20% reduction in runtime rather than 50%. Of course this only matters if the light is left running continuously. In a more realistic scenario a light would be used for shorter durations and would spend a greater percentage of its operating time at the higher levels of output. As a result, the cumulative runtime would be much shorter than what is indicated on the graphs. This would be true for both the Elzetta and the SureFire but it would impact the Fury much more than the Charlie. We’re the light output photos taken after Surefire’s 2.5 minute output regulation? Or are we seeing photos of the first 2.5 minutes before output is regulated? I’d like to use the light as a search light, and think I may need something longer than 2.5 minutes. I’m assuming I’m going to need the light after 2.5 minutes since my night vision is going to be ruined. Hi Jake, the photos were taken within seconds of the lights being turned on and do not reflect the reduction after 2.5 minutes. If you’re looking for distance the P3X will still have the advantage after 2.5 minutes due to its tighter beam but the Charlie will illuminate a broader area. It would be interesting to recompare the Beamshots after 5 minutes. The Ratings of the Surefire seem very scamish bait and switchy. 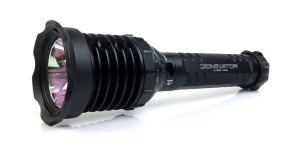 The surefire basically runs at 500 lm I have no respect for this company anymore. This is not a 1000 lumen light. Bait and switch and very slimy. These graphs are remarkably persuasive. I think both manufacturers make good lights, but I’d rather have a cooler running light with regulated power. This was engineered on purpose. 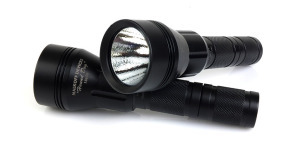 The surefire runs longer and is still very bright after the step down process. I know this because I own one. And no, I don’t work for surefire. I own the Elzetta Charlie with high low switch and have used it extensively in caves, it is a incredibly bright flashlight. the flashlight was on for extended periods at a time and did not get too hot to hold, I am sure due to the fact that it was getting some air cooling and occasional dunking. I am very impressed with the fit and finish with all of their products I have purchased and will be a lifetime customer. No one has mentioned that the elzetta has fully potted electronics whereas the SF is only coated. It is damn near impossible for the elzetta to have a breakage in the electrical components. Plus the elzetta remains fully waterproof and functional even after being completely disassembled underwater, flooded ,and reassembled full of water. I like surefire but it just doesn’t compare on the toughness scale.